Atocha is the main train station in Madrid and hub for commuter and countrywide travel. The high-speed train to Barcelona is an easy way to travel and glimpse the countryside while utilizing the train Wi-Fi if you desire. 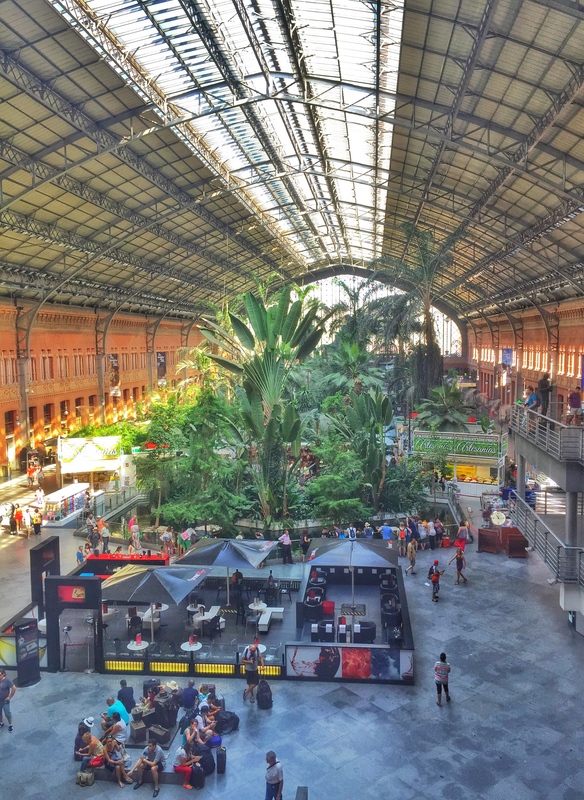 Entering the Jardín Tropical Estación de Atocha, lush tropical gardens, complete with a pond filled with fish and turtles and covering over 40,000 square feet of the concourse will make you forget you are in a bustling train station.